* Hope Heals is a 501(c)(3) NON-PROFIT (FEIN: 46-2623503). All donations are tax-deductible. - Donate via credit card or bank transfer. - Donate via checks made to "Hope Heals" and mailed to P.O. Box 1183, Culver City, CA 90232. “God placed your story and your words in my life at just the right time. My husband and I found out we were pregnant with our second child at the end of June. We [...] found out last week that there was no heartbeat. We are so sad, but [...] thankful for this life He gave us, if only for a little while. 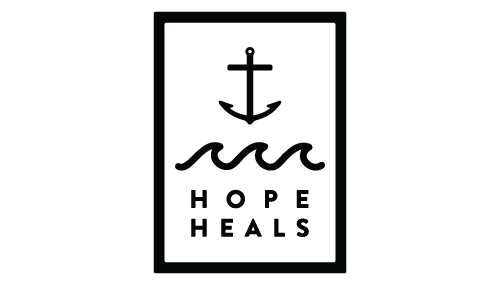 I read Hope Heals through the entire journey, and your encouragement, perspective, and dependence on God were pivotal to shaping how I would respond to our own circumstances.” - E.H.
“I am 27-year-old female living in the country of Georgia in Eastern Europe. I just wanted to tell you how you and your story touched my heart. I have witnessed a generational gap in the Christian community […] and a lack of young leaders like you and your husband who can touch hearts of the younger generation in such a profound way. Your amazing humor, openness, free spirit and intelligence with such a unique story of great faith will encourage many young people! Thank you and your husband for doing this great work.” - N.T. “I was fascinated by your recovery as some of it is so personal to what I want to dedicate my life to. More than your medical story, your story of faith and hope struck a cord with me. I grew up in a Christian household and when I began high school I started to move away from the church. My older brother has a significant communication impairment and as I became older I always questioned why God would allow that to happen. As you so clearly stated in your book ‘God doesn’t make mistakes.’ So much of what you said in your book resonated with me. It left me desiring a more personal relationship with Jesus and a community to help foster that.” - S.B. 2017's off to a GREAT start!